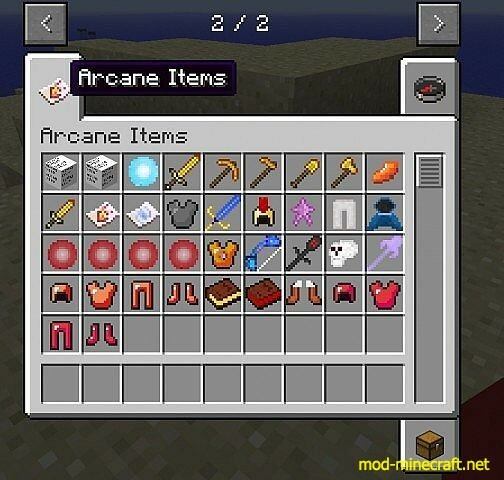 Arcane Winds Mod 1.7.2 adds random magic stuff. You have plenty of items to choose, more pics and more recipes. Because all the items work, AlchemyMouse just need ways to get them in survival. Players will probably have fun and cause some chaos, etc.